A rare M5.0 earthquake hit Northern Yukon on December 22, 2017, just below the Arctic Circle. This is the 6th largest quake ever measured in the area and the largest tremor this year. The 5.0 magnitude earthquake, the strongest recorded in the province this year, struck at 08:00:12 AM (UTC). 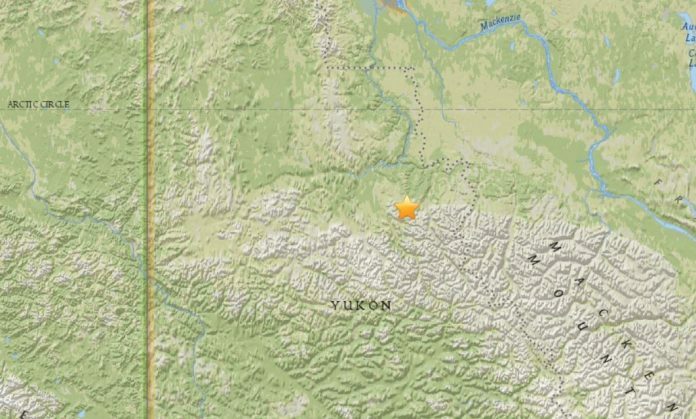 The epicentre was located 219km S of Fort McPherson, Canada at a depth of 1.7 km (1.05 miles)e.
While seismic activity is not uncommon in northern Yukon, this is the first earthquake larger or equal to M5.0 in 10 years. This year, the previous strongest quake was a M4.4 quake 8 months ago.